Once again I'm reviewing another Scott Kelby book because his books, like those of Bryan Peterson, are consistently very good and full of useful information. I'm please to say that The Adobe Photoshop CS3 Book for Digital Photographers is once again another great Kelby book. If you've read Scott Kelby's 7 Point System for Photoshop CS3 you will quickly see that many of the things he uses in the steps for enhancing photos for that book are included with more details in this book. However, this book is more of a recipe book to help you solve a particular task with little information on bringing it all together to solve a series of typical problems, which is why he wrote the 7 Point System book. I've got a few Kelby books, do I really need this one? OR Who is this book really for? When I started reading this book it was heavy on information about Bridge and Adobe Camera Raw so I started to question my decision to buy it without reading it from the library first. However, as I went deeper into the book I found a lot of nuggets (even in the Bridge section) that were super useful to me in the things I do in Lightroom. As a result, I can easily say that this is a book worth reading from cover to cover for anyone who is wanting to understand more behind the voodoo of Adobe Camera Raw, sharpening, Color Management, Printing and lots of hidden gems in Photoshop. This is a really good reference book, but it is one that should be read cover to cover to allow your brain to index what it offers so you can come back to it when you really need it. Come on Ron, I can't afford all of these books. If I only had to pick one or two Kelby books, what would they be? This is a fair question, and after reading this and the 7 Point System, I'd have to say that if you only bought one then the 7 Point System is the better book to have. That isn't to say that this book isn't useful and that you shouldn't own both if you can afford it, but if you only had to pick one then you'll get more out of the 7 Point System because it will show you a bunch of photos that look like the ones we are used to seeing come out of our camera and show you how to make them look awesome. Doing this both increases your confidence and gives you series of basic tools that allow you to directly apply these techniques to your photos for great results. Where this book comes in handy is when you have a specific question like "how do I whiten teeth? ", and you can go that topic and get quick step by step instructions that show you exactly how to do that. This book is divided into 13 chapters, each of which covers a general topic with a series of tips that show you how to solve a particular problem. These chapters teach you everything you want to know about Bridge and really can help enlighten you on how to live without Lightroom as well as show you why Bridge is cool. I learned a lot here and have a whole new respect for Adobe Bridge now. In fact, I may even do a tech session or blog post about how to live without Lightroom using ACR and Bridge after what I've learned in here. This chapter is excellent because it teaches you a bunch of neat tricks about Adobe Camera Raw that are directly applicable in Lightroom, but aren't documented anywhere. This is really good stuff and worth reading if you want to learn how to take more advantage of the power of Lightroom. This chapter is pretty good because it dispels a lot of myths about resizing images in Photoshop (most of which were formed during older versions) and it offers some surprising advice. Unless you live and breathe color management, most people will find that this chapter is everything they need to know and have wanted to know about the topic. There's some good stuff here that will increase your odds of having a true WYSIWYG experience when comparing your monitor output to your printer (or print service) output. Has the stupid Curves dialog got you stumped? Do you wonder how to find a neutral gray spot when one doesn't seem to exist in your image? If so, you'll get a lot out of this chapter. This is a good one that will definitely having you flag some pages for future reference. This is just a run of the mill chapter on B&W. It shows some interesting tips, but overall it's a bit of a yawner. I had high hopes for this one, but overall I was a little let down. Between owning Nik Color Efex Pro 3.0 Complete and previously reading Scott Kelby's 7 Point System for Photoshop CS3, I felt like this was mostly old news to me. Others may disagree and find it more useful - especially the tips for dealing with over/underexposure. Just like chapter 8, much of this was old news for me. However, it was really cool to see how Scott does some of the things I know how to do (but rarely am patient enough to actually apply to my own images) to get some great results. It's a good chapter, but this is my favorite domain in photography so I've done a lot of research in this area already so there were no magic revelations. 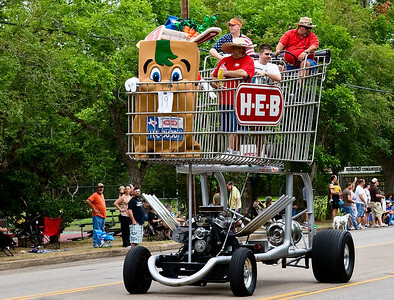 Some will love this, others will think this is a little heavy on the cheese. However, the neutral density section is something you should already know how to do, so if you don't then this will be very helpful. Scott does a lot to demystify the stupidly named unsharp filter and gives you lots of great info (and fortunately exact numbers) to help you solve a wide variety of sharpening issues. Scott is a master of sharpening, so there's some really great stuff here that justifies keeping this book within arms reach at all times when you are doing digital post processing. Some of this is lame, but I enjoyed it none-the-less. The fine art poster section is a great place to start for those of you (who like me) are idea challenged for ways to present your photos to make them look both great AND professional. I had high hopes for this one, but was greatly disappointed. What you really get here is an example of how Scott takes a fairly boring shot from Bridge and makes some minor modifications to it. Scott Kelby's 7 Point System for Photoshop CS3 does a MUCH better job of really helping you to understand his workflow a little better, and help you improve yours at the same time. I had over 20 pages flagged in this book as being important for future reference, and since I've worked on a few batches of photos after reading this book I found myself going back to this book to recall how to deal with certain problems. It's a good book, and an excellent resource for sure. However, it is more of a recipe book that you'll use as a reference, but I don't think it is the right book for the average Joe to learn how to see the "big picture" on how to make your photos look their best. Recommendation: Recommended, but if you can't afford this and Scott Kelby's 7 Point System for Photoshop CS3 then I'd say your best best for learning is to go for 7 Point System. If you are a very advanced Photoshop user, then you'll probably find some good nuggets in this book that make it more worthwhile than the 7 Point System. I spent the week of the 4th of July visiting family in Texas, and in my parents small little town of Shiner, Texas (home of Shiner Beer). While I was there, I attended their annual parade on Saturday, July 5th to celebrate Independence Day. While I have lots of photos to process, I couldn't help but share this one early because it just so darn funny! 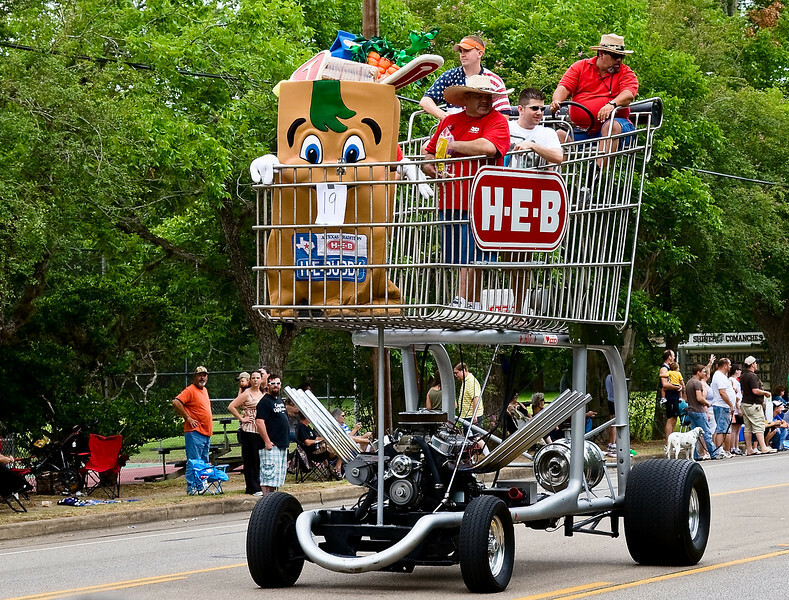 No, your eyes aren't deceiving you, this IS really a hot rod grocery cart sponsored by the local HEB Grocery Store. Oh, and yes that really is a chrome keg for the gas tank! I frequently see people asking the question of what digital picture frame is the best, but a lot of times they get recommendations by people for frames that are too complicated. Sure, streaming your flickr pictures to a frame is great for you and your high-tech friends, but does your Granny who doesn't even have a computer need high speed Internet so she can do that too? Furthermore, if Granny isn't in the same town who is going to fix her frame when something goes wrong (and it always does)? For my parents, who are also grandparents many times over, I chose to get the Kodak EasyShare SV811 8" Digital Picture Frame. It isn't the most high-tech, but it works easily and is just a little over $100. I've given three of these to people who weren't computer geeks last Christmas and they are all still running with no problems. The picture quality is excellent (and I'm a pixel peeper, so this is important to me) and it is super simple to give them new pictures to watch by simply sending them a cheap SD card with the latest pics. From there they can either send me their SD card back, or I can just let them keep them so they can choose which "virtual photo album" they want to display in their frame. It's simple and it works with no hassle or fuss - just like Grandma wants!